The caption reads (translated): Do you see what is wrong with this picture? Swedish news agency Afton Bladet claims the famous “chipmunk in the small chair” was photoshopped. 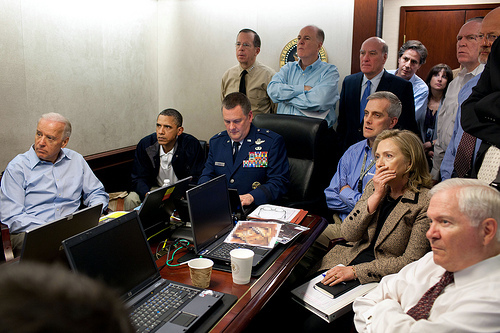 “Look closely, the picture from the White House ‘Situation Room’ in connection with Bin Laden’s death holds an impressive error … Can you detect it?”. 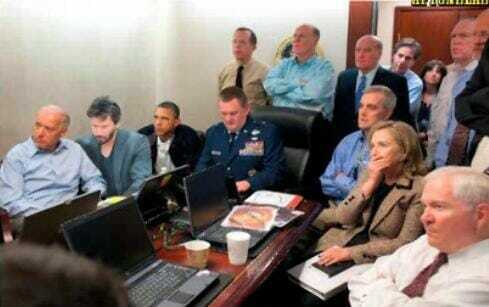 They say Obama was photoshopped into the picture. AB insists that the president was just way too small in the picture. It must be a fake. Obama was really out golfing that day. Maybe he got stuck at the 19th hole? 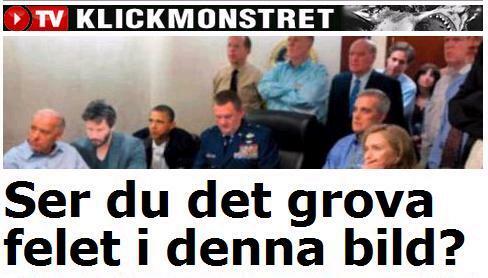 UPDATE: Afton Bladet mocked the White House. They added Keanu Reeves to the photo in their video. Hah!